Why not join m4maths android training program ? 1) If you are not interested to make your career in highest paying technology. 2) If you are just looking for course certificate. 3) If you only believe in theoretical knowledge. 1)	We believe in practical. This model will provide you 2:8 between theory and practical. 2)	You will get training in corporate 3 hr a day professional trainer. 4)	Each trainee will work on a live project and will complete a project from scratch. 5)	After complete the training we will assign a project in which you will get help from us till the project complete. 6)	2 android professional will be assigning to each batch. 7)	Max batch size 20. 1)	Send your resume at training@m4maths.com, or click interested button. 2)	Online written test aptitude and core java programming for shortlisted resume. 3)	Selected student will get call for interview. 4)	Work shop Cost will be borne by the selected Candidates. Age of 6 members in a family are 17 years, 36 years, 12 years, 16 years, 63 Years and 39 years. What is the population standard deviation of their ages? is there any training in which stipend is also given and students learn also something ie learn and earn both? CAREER OBJECTIVE: To join the organization, where I can contribute my skills, talent in the growth of organization. Job Role	: To Increase Customer By Doing Survey of Newspaper. Mega: Rotational Visual Cryptography using Basic (2, 2) Scheme. Description: This scheme is used for hiding two halftone secret images into two meaningful shares Created from halftone cover images. Using Human Visual System, again the four secret images can be easily recovered by placing the two shares on top of each other with different angles. Rotation Visual Cryptography using basic (2,2) scheme which encrypts three secret images into three shares and each secret image can be easily revealed by overlaying one share with the 1800 anticlockwise rotation of another share. In this way the combination of any of the two shares reveals one secret image with the help of 1800 anticlockwise rotation. The reconstructed original three secret images have the same contrast as achieved in the basic visual cryptography scheme (2, 2). Mini: Traffic Road Sign Detector used to alert the Driver of the vehicle about the Road Sign by Detecting the Traffic Signs of the Road. Participated in the National Level Technical Fest Event Math-e-Mania conducted by ISTE Students Chapter KITS, Ramtek on 29-30th December, 2011. Attended Combined Annual Training Camp held at Hyderabad House, Nagpur from 15 Feb, 2013 to 24 Feb, 2013 as NCC CADET. Passed ‘B’ Certificate Examination in 2012-13 as NCC CADET. Participated in the National Level Technical Fest INVENIO 2K14 Event MINDMAZE conducted by ISTE Students Chapter KITS, Ramtek on 25th Feb 2014. Participated in the National Level Technical Fest INVENIO 2K14 Event I-GOOGLE + conducted by ISTE Students Chapter KITS, Ramtek on 25th Feb 2014. Participated in the National Level Technical Fest TEKNODEON-2K15 in the State Level Entrepreneurs Summit held on 11th March 2015. Attended Workshop On “ANDRIOD” Technology Organized by IIT-KANPUR in Nuva College of Engineering, Nagpur. Attended Workshop On “BIG DATA & HADOOP” Technology Organized by CSI, Chennai with COIGN Edu & IT Services Pvt. Ltd of Nagpur in KITS, Ramtek on 10th & 11th February 2015 . Skill Development & Commercial Training From Wardha IT Park, MIDC, Sewagram. Passing in M.S.C.I.T Computer Course with 70% marks from INSIGHT Computer Institute, Old Pawade Nursing Home Square, Wardha in July-2009. Programming Languages : C, C++, DBMS, and JAVA. Other Expertise Subject : Theory Of Computation, Artificial Intelligence, Computer Networks. DBMS Packages : MySQL, ORACLE8i. 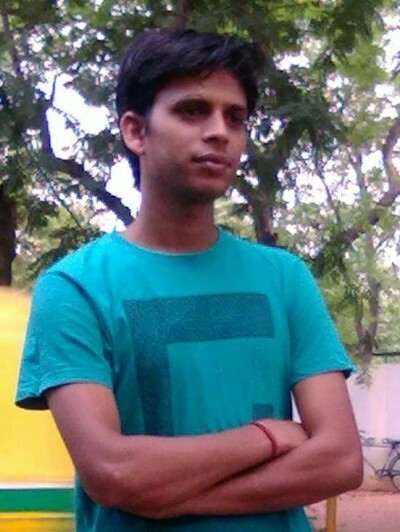 Volunteer of Computer Society of India (CSI), Chennai for 2015-16. Member of Indian Society for Technical Education (ISTE), New Delhi from 2011-15. Executive Member of INFOQUEST forum for Two Year for session 2012-13 and 2013-14 in the Institute. Donated Blood in camp Organized by the Jeevan Jyoti Blood Bank & Components, Nagpur on 19/9/2011 in KITS, Ramtek. Event organizer in School and College Annual Day Functions and Other technical events of Institute. Like to do Work in A Team. Language Known : English, Hindi and Marathi. Address : Fathepuria Layout, Gondplot, Wardha, Maharashtra-442001. I hereby, declared that the above-mentioned information is correct up to best of my knowledge and belief. I believe Integrity of knowledge, skills and experience is the key to success. My career goal is to combine these attributes and utilize the same for maximum enhancement of the organizational and personal success. 	Passed S.S.C from MANAV VIKAS VIDYALAY, MUMBAI in 2009 with 59% aggregate. 	Passed H.S.C. From SANDESH COLLEGE, MUMBAI in 2011 with 58%. 	Passed T.Y.B.COM From GURUKUL COLLEGE OF COMMERCE, MUMBAI in 2014 with 68%. 	Worked as a Login Executive for Four Month in Dolphin Automobiles Pvt. Ltd.
	Currently working in CMIE as a Data Analyst. 	I would love to lead people. Looking for promising challenges on a responsible position which will utilize my skills, flair for introducing work culture in terms of creativity, innovative ideas, with a company offering recognition to quality of work and good career growth. Platform: Windows2000 / XP/ Windows 2007,UBUNTU,VISUAL STUDIO, SQL Server. Tools:	MS Word, MS Excel,XAMPP,WAMP, SQL Server. I AM WORKING AS JUNIOR SOFTWARE DEVELOPER (DOMAIN: .NET) IN ‘PCS GLOBAL PVT. LTD’ ,HAVE COMPLETED 2 MONTHS RECENTLY. Present Address: 109A, JOY KULLA MOLLA ROAD,KOLKATA-63	. I hereby declare that all the above information provided is true to the best of my knowledge and belief. •	Seeking a position to utilize my skills and abilities in the Information Technology Industry that offers security and Professional growth while being resourceful, innovative and flexible. •	Platforms: familiar with C, C++, java. •	Managed to secure an average of 90% marks in the school level talent tests. •	Completed Praveshika in Hindi. •	Participated in Abhiyantrana, the national level seminars conducted at Sir C V Raman Institute of Technology(CVRT) Anantapur and presented power point presentation on Big Data. •	Actively participated in the Android workshop conducted in the college. •	Participated in 2014 elections as a volunteer to monitor and manage webcasting. •	Achieved 2nd prize in the fancy dress competition during the school days. I hereby declare that the information furnished above is true to best of my Knowledge. i m sad to say , now this time i am in job 24*7 so i am unable to attend your training program. the prouct of two number is 2028 and thier H.C.F is 13.the number of such pairs is? To obtain a challenging and growth oriented career as software professional in a highly motivated environment involving job satisfaction, good career growth and opportunity to learn and upgrade. • Software Packages	:	MS Office. Internship Training: Dynamic Institute of Automation and Control, Noida. Successfully Completed 4 weeks summer training after 6th semester in DIAC (Dynamic Institute of Automation And Control) Noida on PLC and SCADA. Major Project : Automatic Security System by LASER SHOOTER & PIR Technology. Description : In this project we provide criminal detection and mention the direction also included shoot out with laser gun on the basis of rotation of stepper motor.When the person is coming from main gate then IR sensor activates and buzzer beeps out but when the entry is from except main gate then PIR sensor activates giving out to microcontroller (AT89S52) which displays the correct direction on LCD thus the stepper motor turns on and move in the respective direction. Role : Leading group-designing soldering of some parts. Minor Project : Anti-Theft Alarm System. Description : An anti-theft system is a method used to prevent or deter the unauthorized appropriation of items considered valuable. A piezo electric sensor is use as the shock sensor, which has to mount on the object that you have to protect. A piezoelectric sensor is a device that uses the piezoelectric effect to measure pressure, acceleration, strain or force by converting them to an electrical charge. • Secured third rank in debate competition at school level cultural program in 2007. • Participation Certificate of College Functions. • Attended the courses of X-PENTABOT & X-AUTOBOT conducted by Think Ware in 2011. • Member of Technical Tour to NHPC organized by INVERTIS University in 2013. • Actively Participated in inter college competitions in INVERTIS UNIVERSITY. • Member of Farewell Committee in College. • Represent College in VOLLEY BALL match in 2011. • Active Participation in various cultural activities in school. • Ability to organize and motivate staff. • Hobbies	:	Playing Volleyball, Listening to music, Gardening, Fabric painting. I hereby declare that above written particulars are true to the best of my knowledge and belief. 	Participated in Bhartiya Sanskrit Jyan Program at Block level in 2004. 	Take part in Techolix’11 and given Loyal and valuable services voluntarily in 2011. 	Attended the workshop on “Linux & Network Security” in august 2011 in Eng. College Bikaner. Organized by Govt. Engineering College. Date of Birth : 20th Sept 1992. Hobbies & Interests : Playing cricket, Basket Ball, Net browsing, Listening music. To give my best along with enhancing my innovative and creative ideas to work for the fulfillment of organizational goals and personal excellence. Underwent Software Development Training under Pratham Software’s’ for 45 days in Jaipur. Description	In this project we are reducing the paper work by applying the leave online. It is a intranet based system. •	Attended a National Level Workshop on Ethical Hacking & Information Security in 2013. 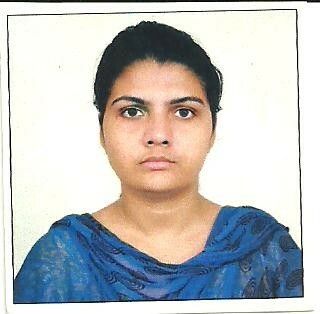 •	Participated in Enilaze C-coding, Ppt Competition, 2012, Kautiliya Institute of Technology, Jaipur. Elected as coordinator in various events like womens day celebration ,different workshops. Participated in many events at school level. To secure a challenging position where I can effectively contribute my skills as Software Professional, possessing competent Technical Skills that offers professional growth while being resourceful, innovative and flexible. Languages	: C, C++, java. Web Designing : HTML, XML, CSS, Perl, Php. Office suites : Microsoft office, Visual studio. •	Learning new things to enhance my knowledge. •	Playing shuttle and chess, cooking. Usually they are more link breaks in Mobile Adhoc Networks, due to this link breaks we need to find the other route .the time taken to find the new path is called as rerouting time. By using rerouting algorithm which is proposed approach we can reduce the rerouting time when the link breaks occur where energy consumption, power consumption and time consumption are reduced compare to the Adhoc On Distance Vector algorithm (AODV). 	Bug fixing and Unit Testing. 	Problem solving, issue resolving skills. 	Debugging & Root cause analysis. 	Technical Documentation & presentation skills. 	Java springs, extended java script. •	An edge talented person to tackle the situation, I enrolled in. Seeking a challenging & rewarding opportunity with an organization of repute which recognizes and utilizes my true potential while nurturing my analytical and technical skills. Bachelor of Technology in Computer Science Engineering with 63%. AISSCE(XII) in Science Stream with 68%. C, HTML, Basic OOPs Concepts, Data Structures, Basic of SQL, Linux. 	Good Knowledge of C Language. 	Basic Object Oriented Skills. 	Worked on Linux Gcc compiler. It provides a platform for conducting Psychometric Test for MBA Students so that their interest in particular fields i.e. (IT, HR, MARKTING) can be identified. Technologies used: ASP.net 3.5 with C#, Microsoft SQL server 2005. 	Have taken active participation in College fests. 	Have taken active participation in Drama competition at Inter school level & got many prizes. 	Have got second prize in single race at school level. 	Participated in many Outdoor Games competitions. 	Was “Sports Meet” Member in College.